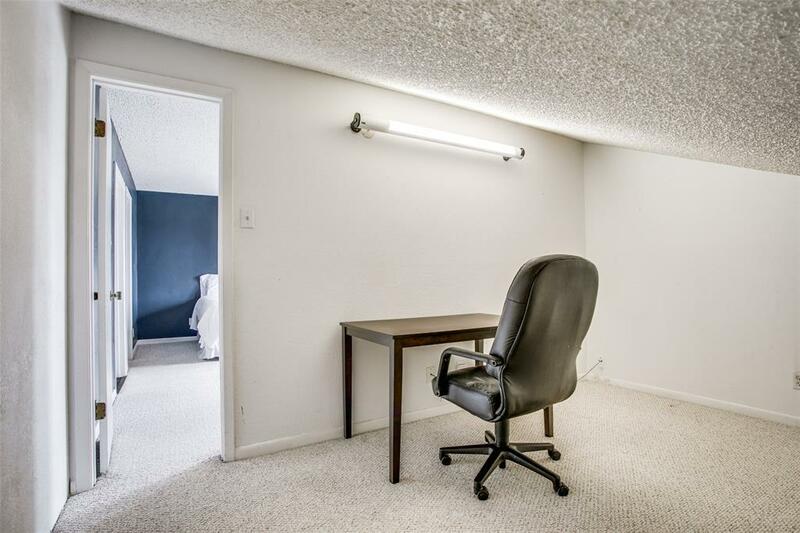 MOTIVATED SELLER moved for job. Bring offer, Golf Cart & furn negotiable. 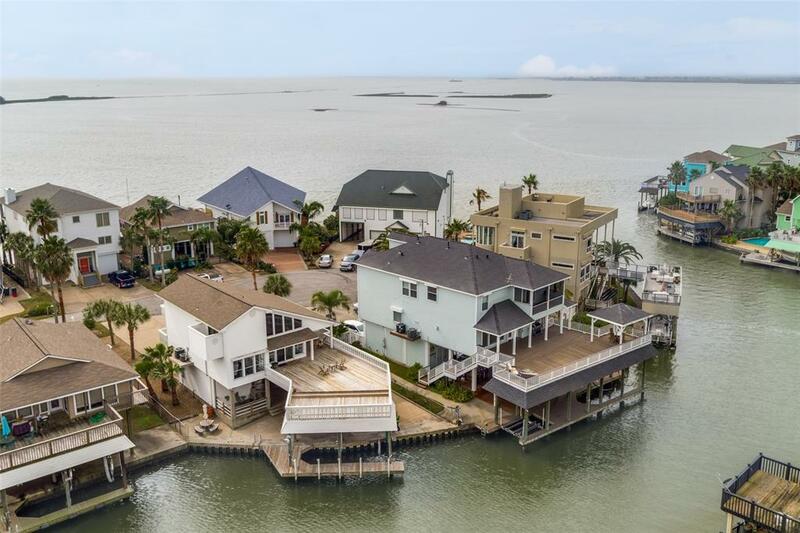 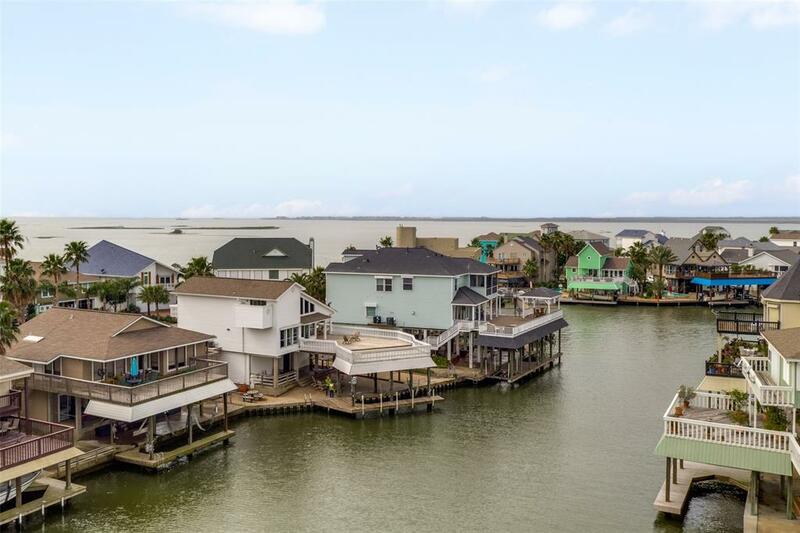 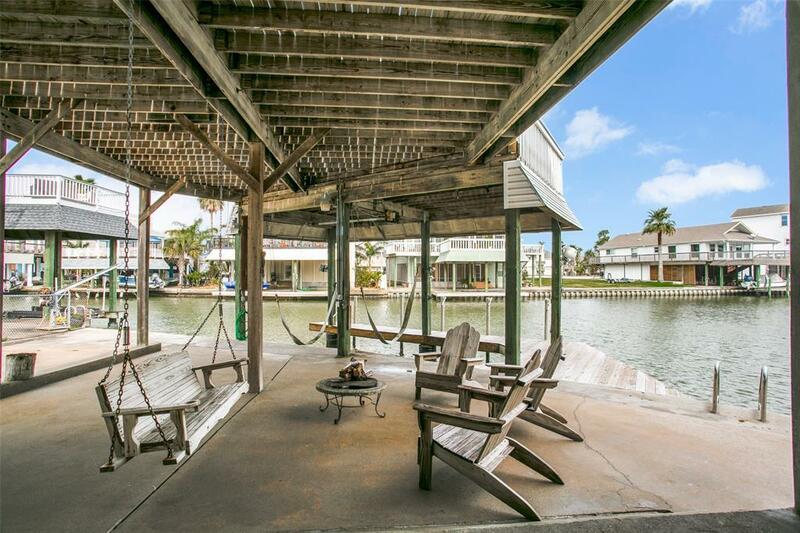 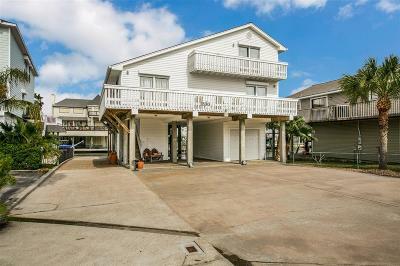 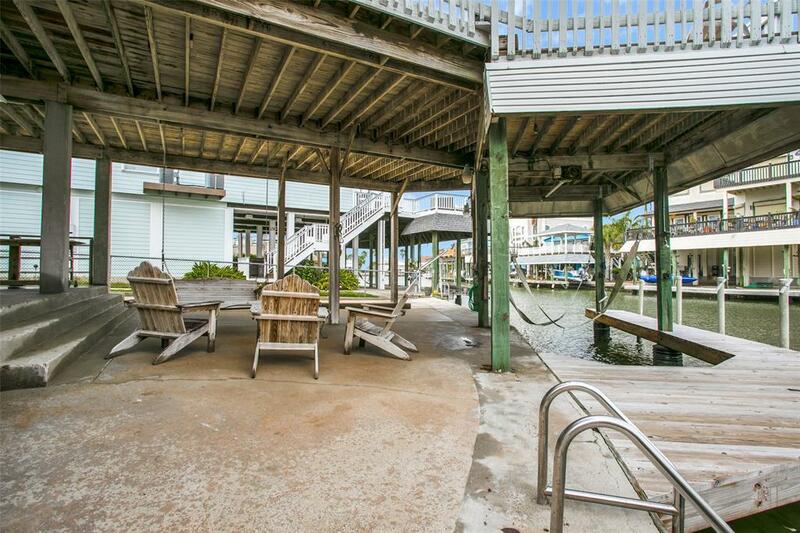 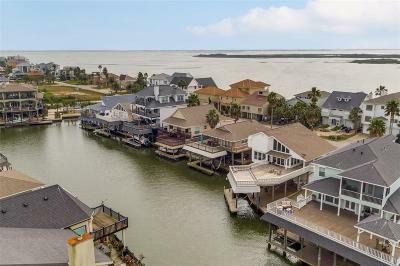 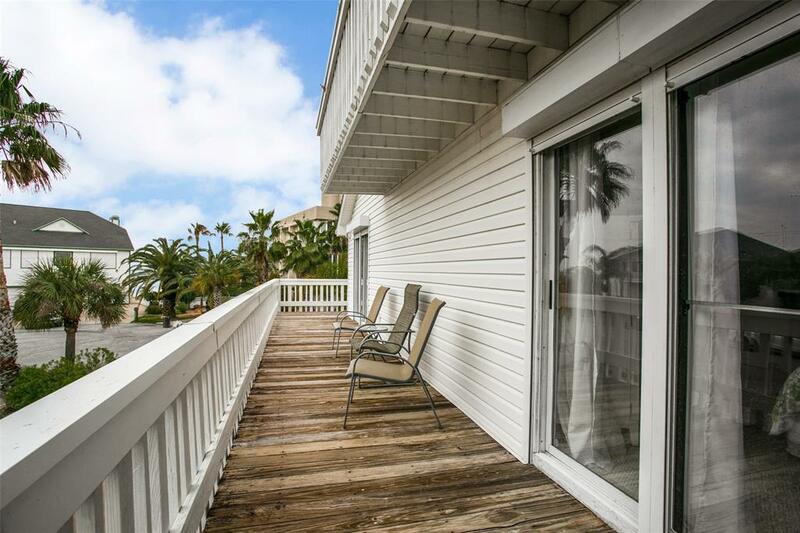 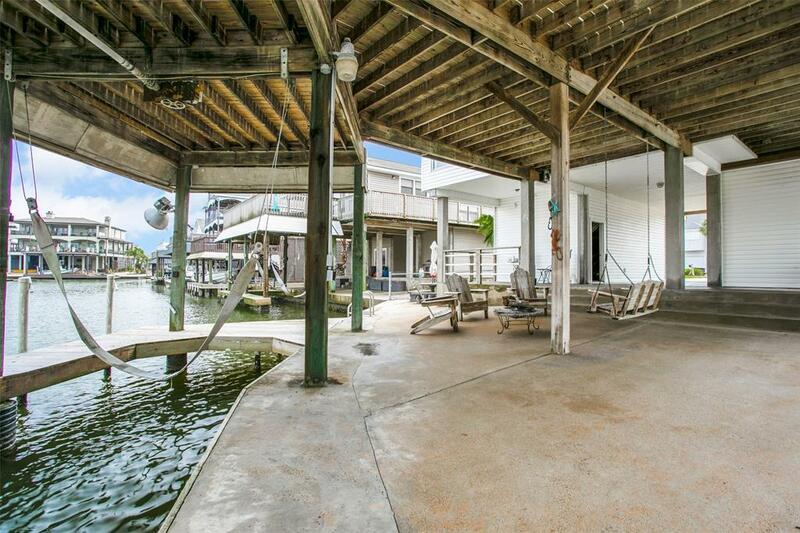 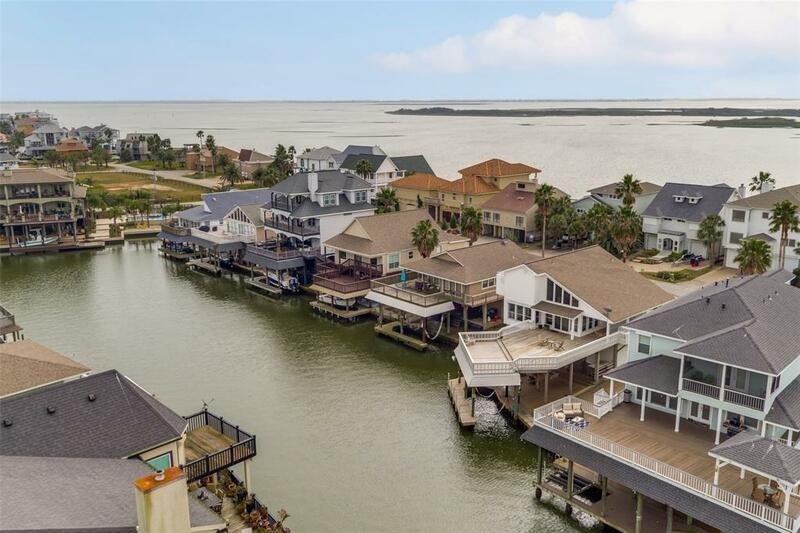 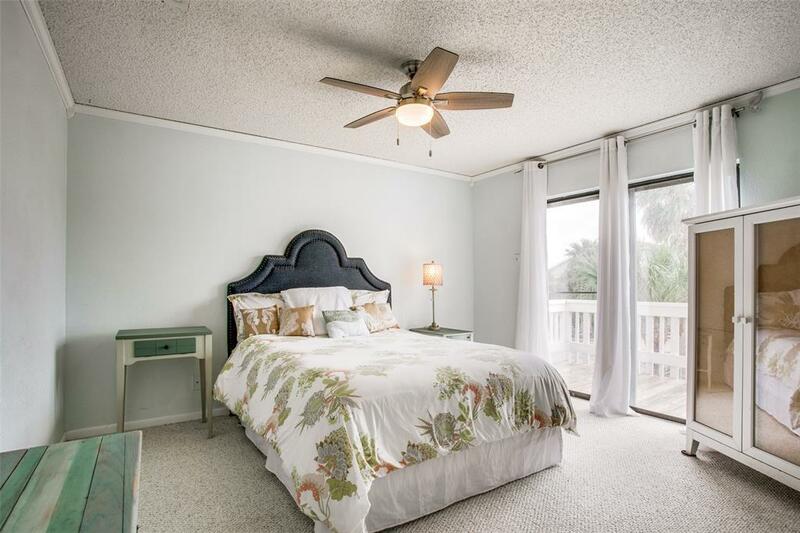 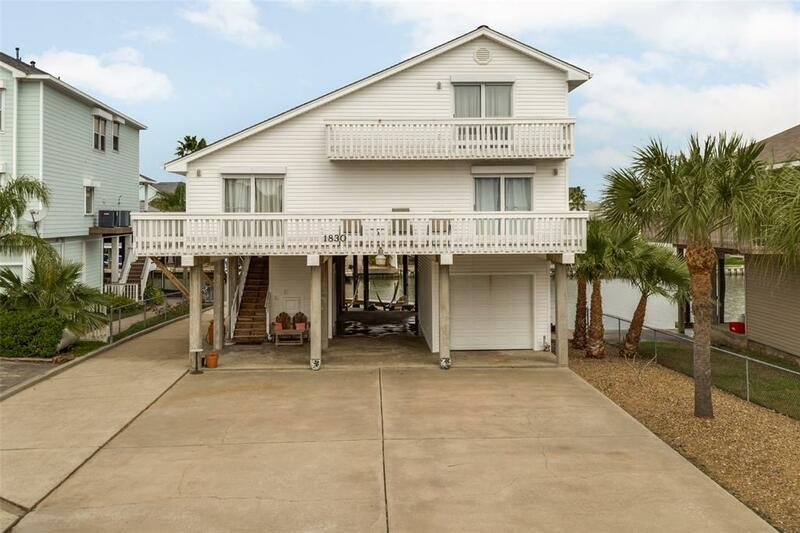 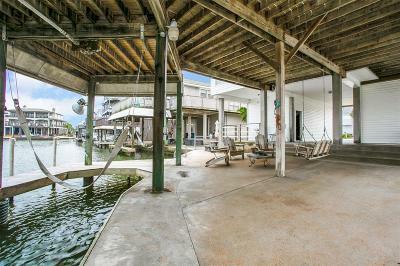 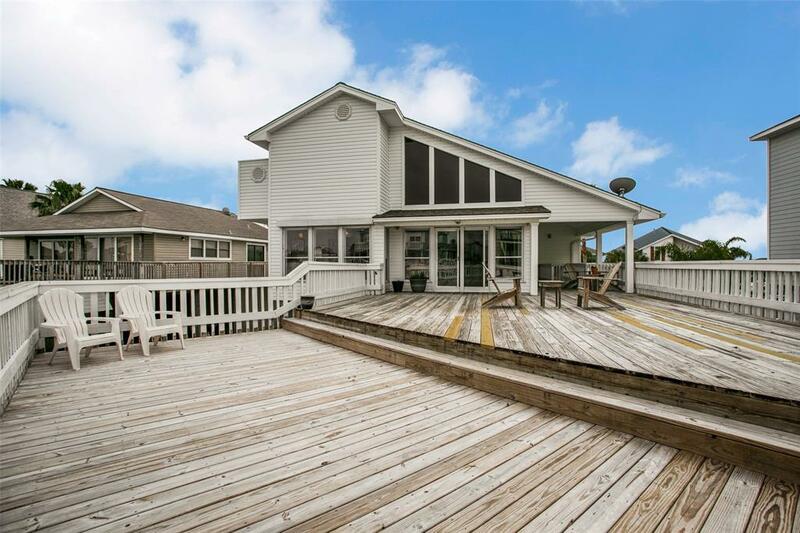 This beautiful Tiki home has 75' of waterfront with easy access to West Bay & Intracoastal. 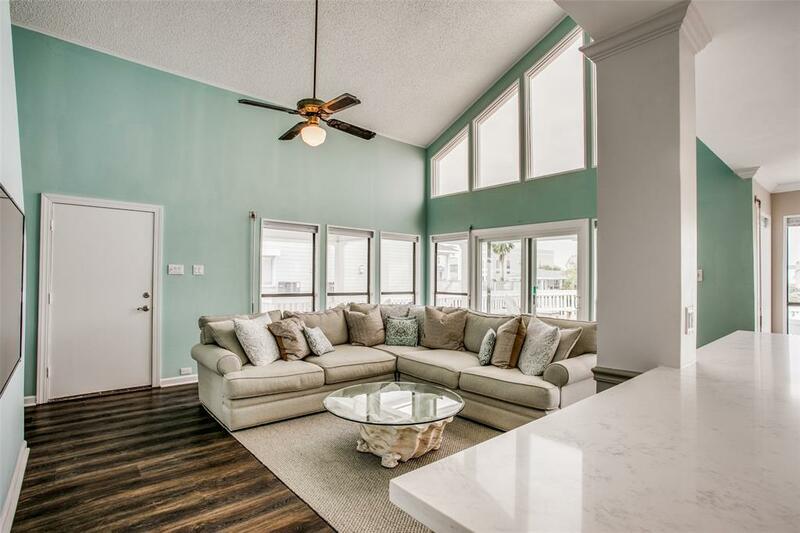 Open concept with walls of windows in living/dining area. 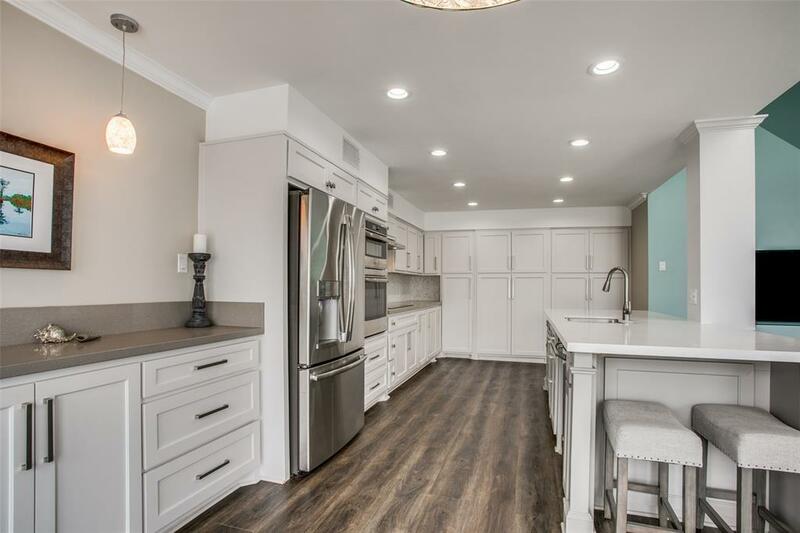 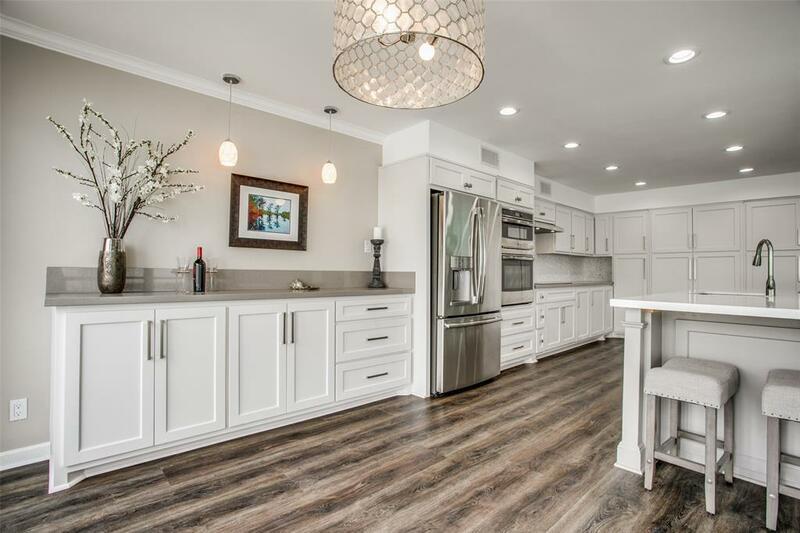 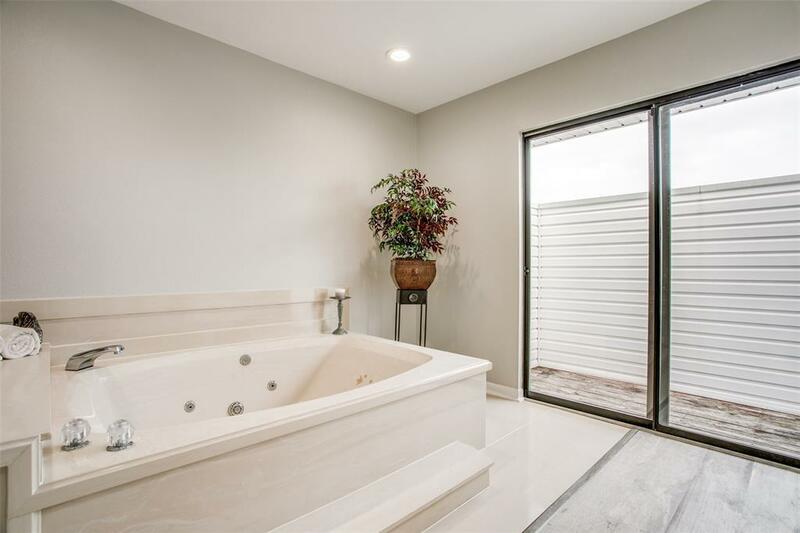 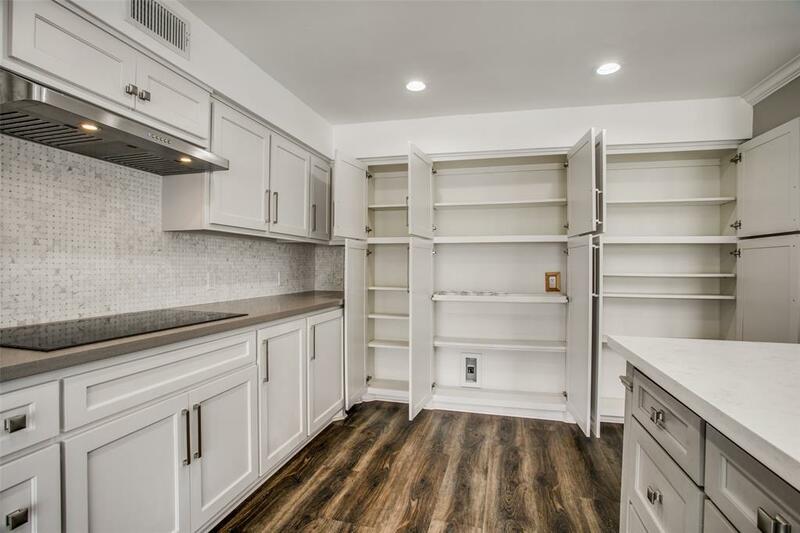 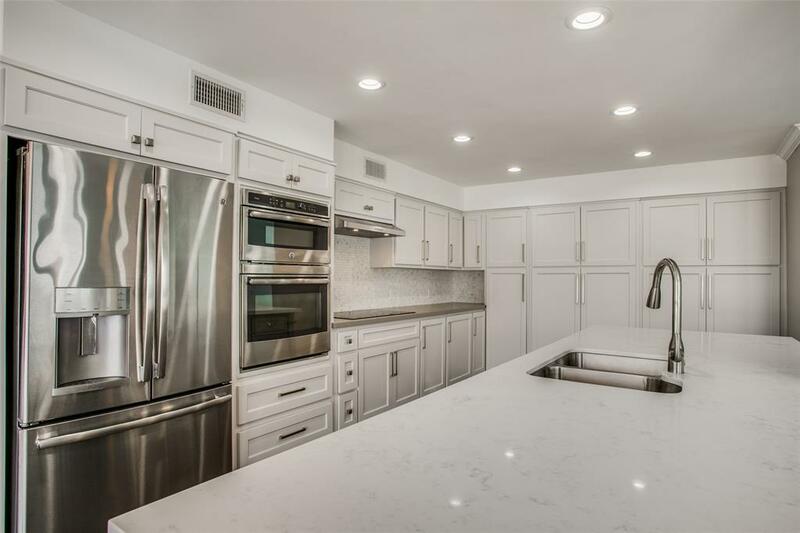 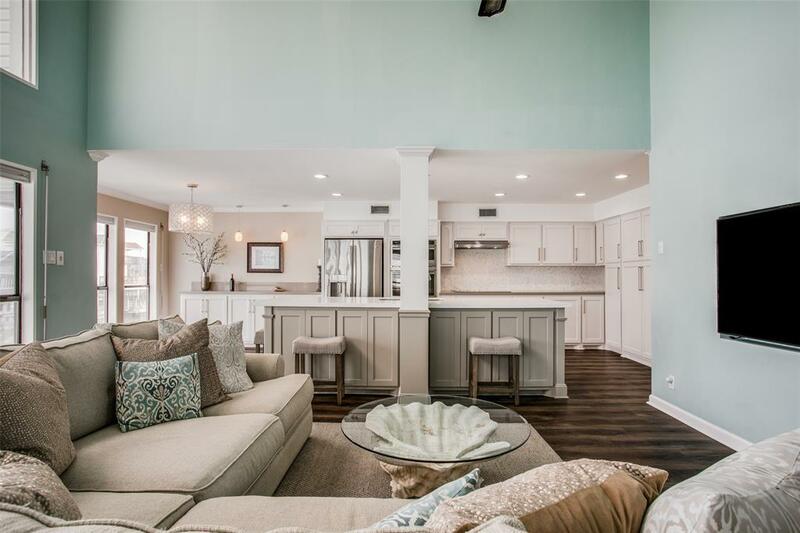 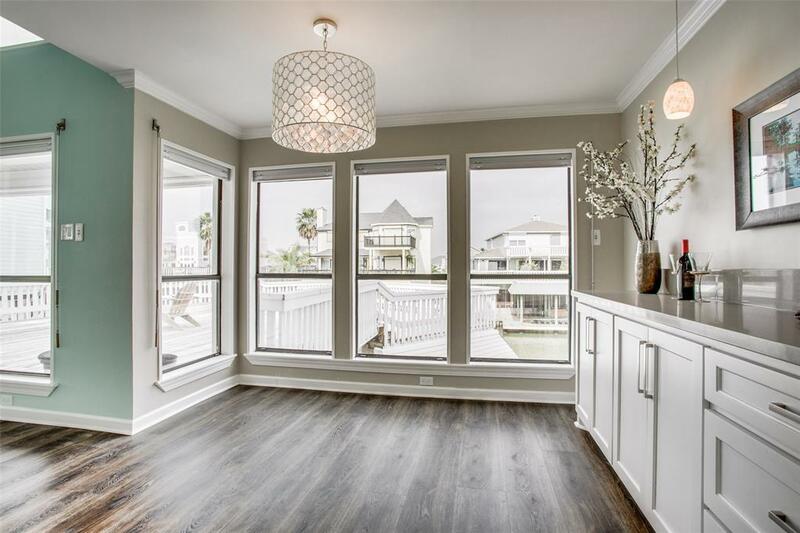 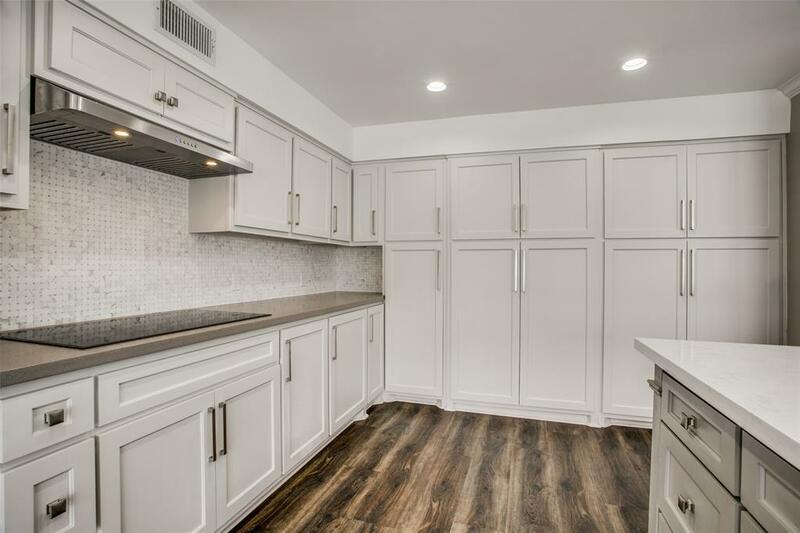 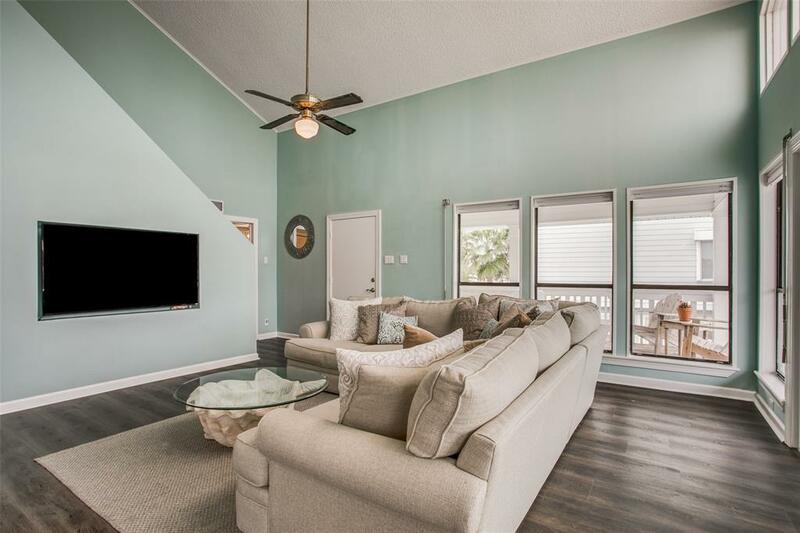 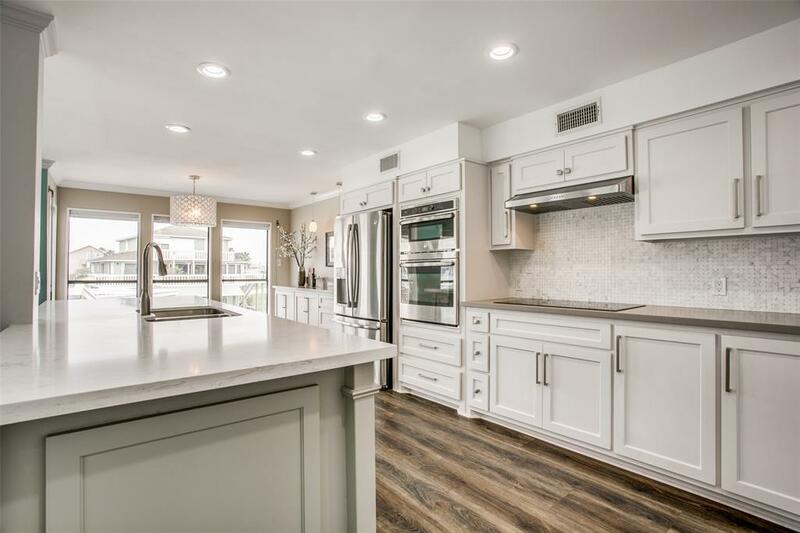 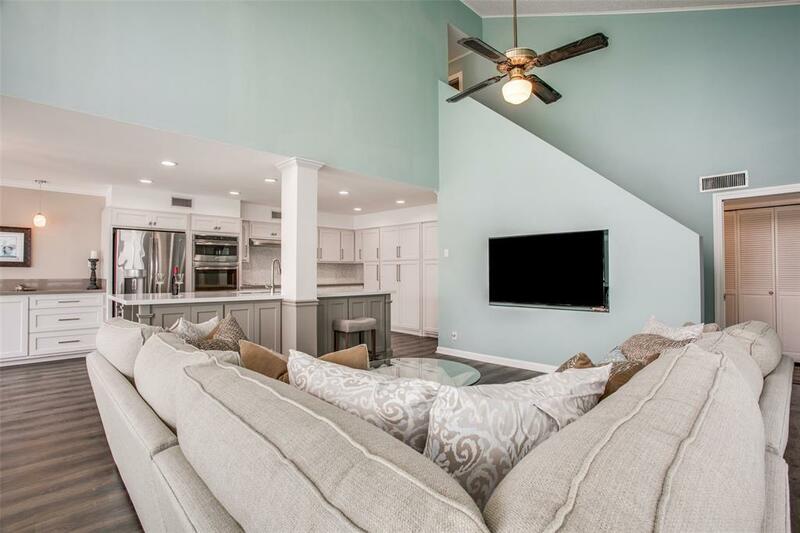 The gorgeous kitchen is a chief's dream w/massive storage, custom spice storage, pull out coffee/tea service area, quartz counters, built in serving bar in the dining area all updated 2017. 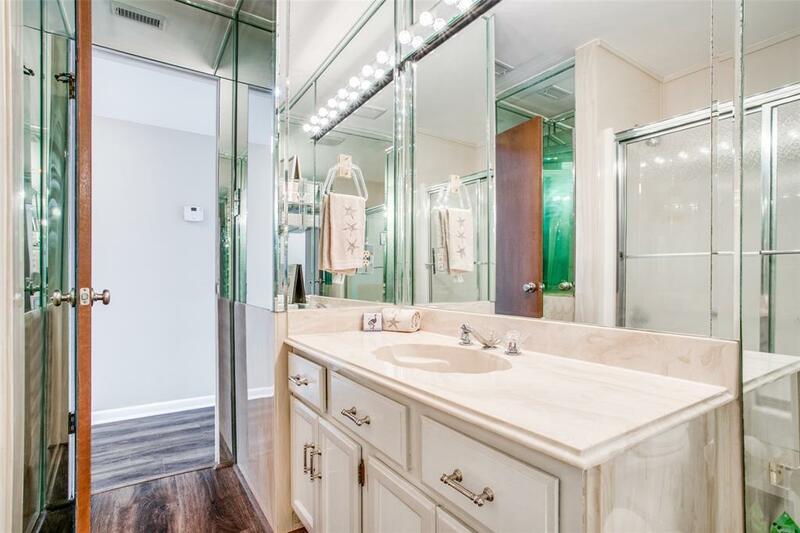 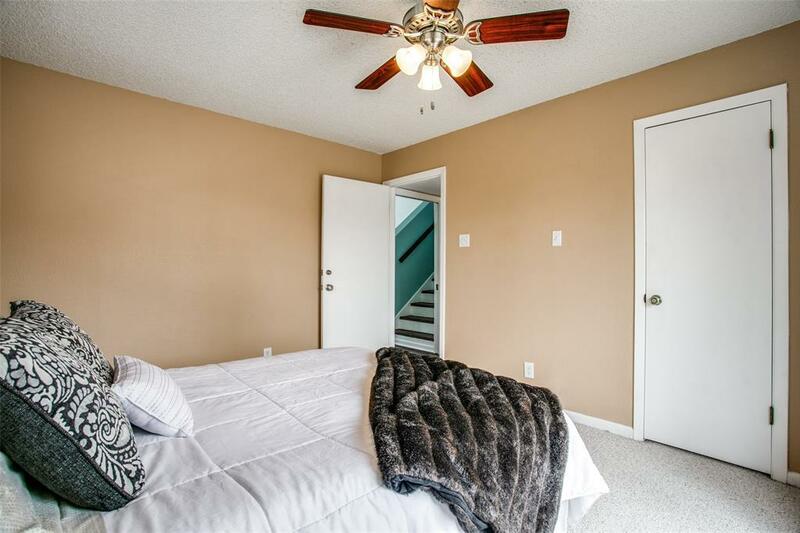 2 guest bedrooms on main floor with bath and laundry room in between. 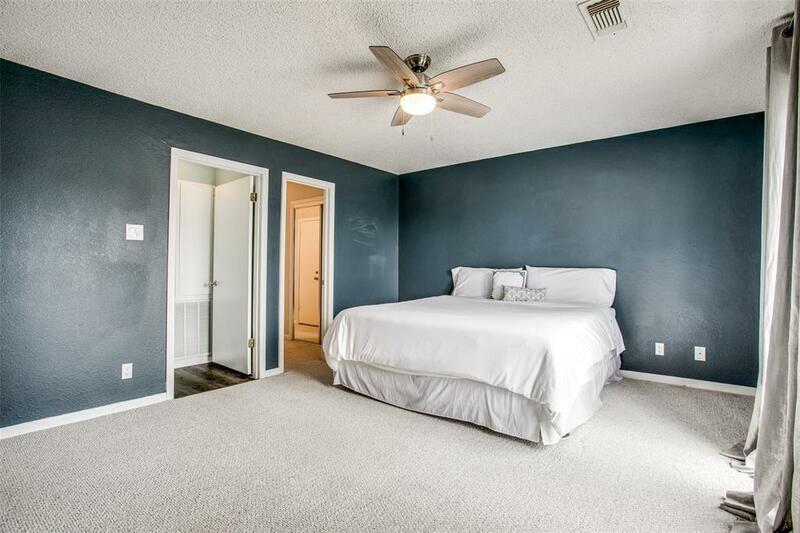 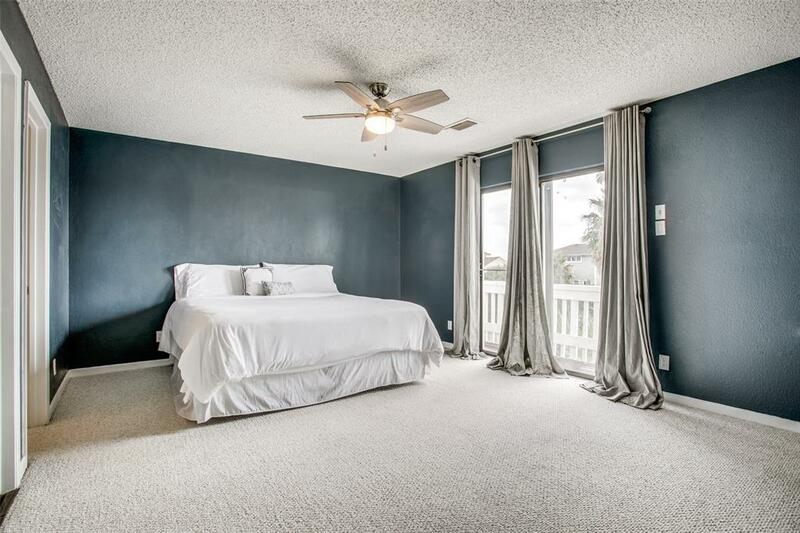 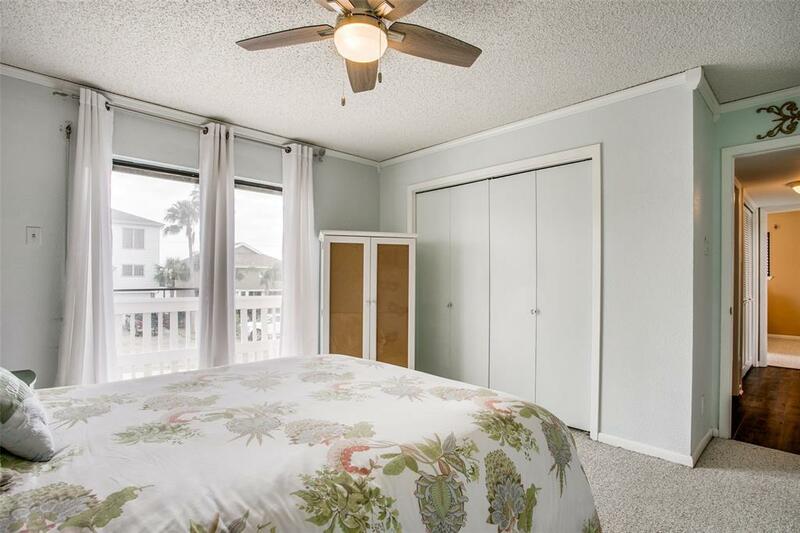 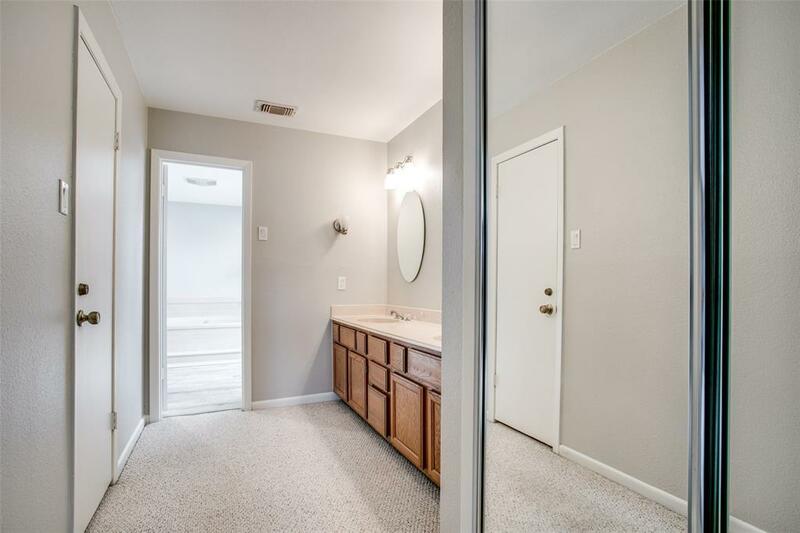 Master bedroom with large bath some updates 2018 with lots of closets & storage. 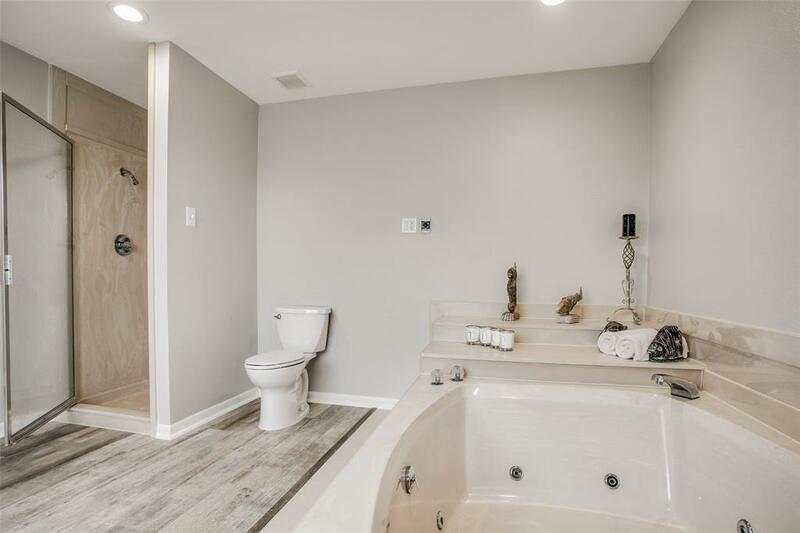 Private sundeck off bath. 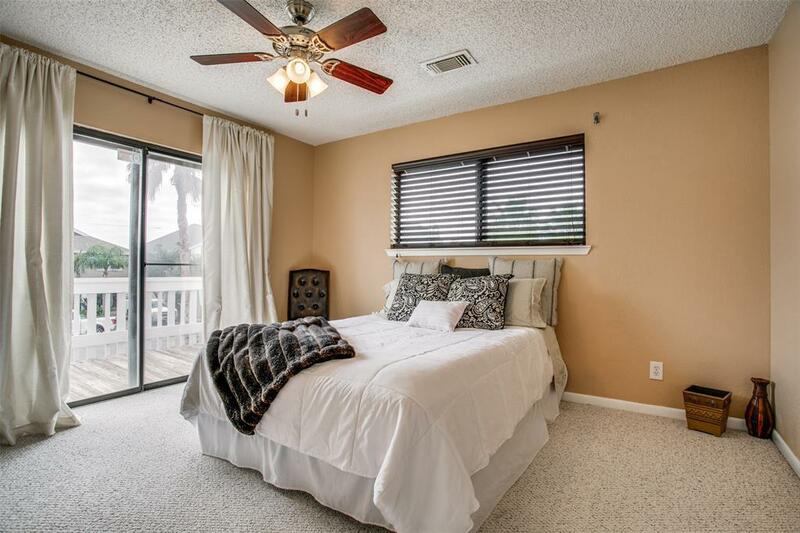 Extra room off master has many uses office,exercise room, storage, etc. 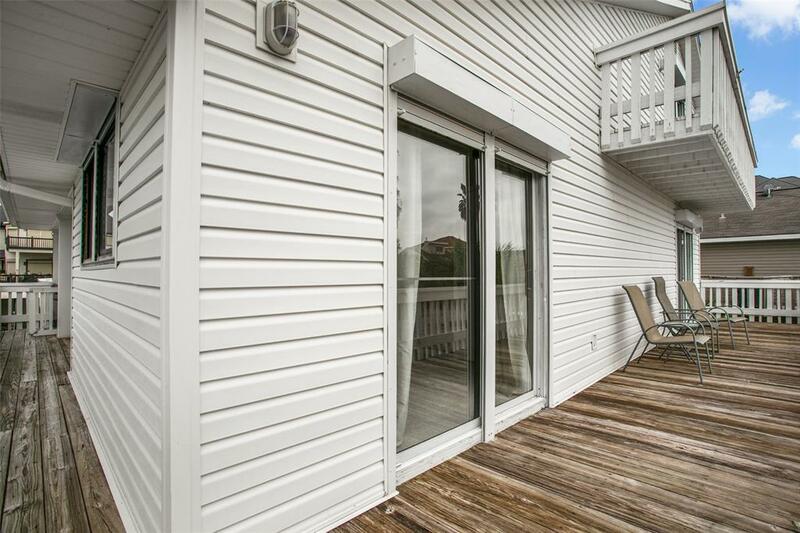 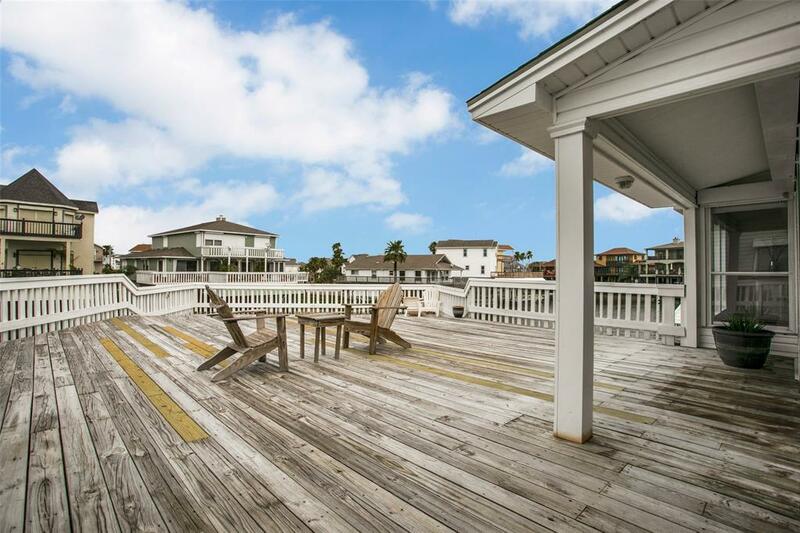 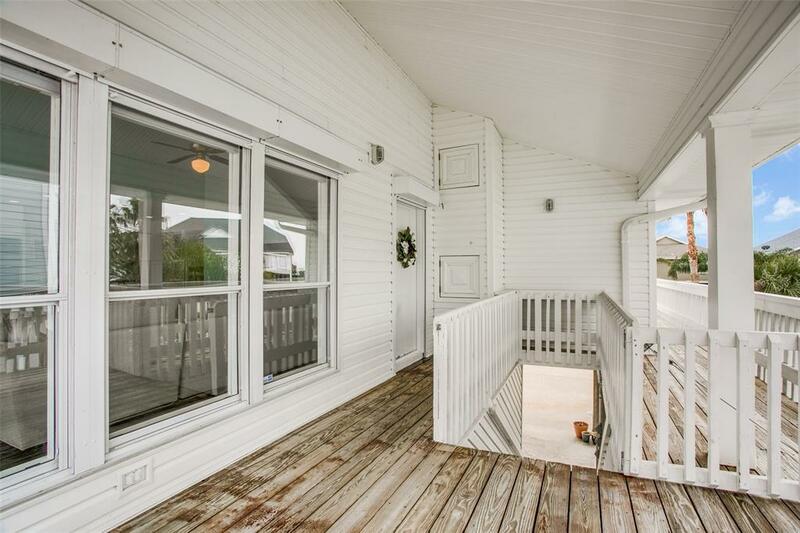 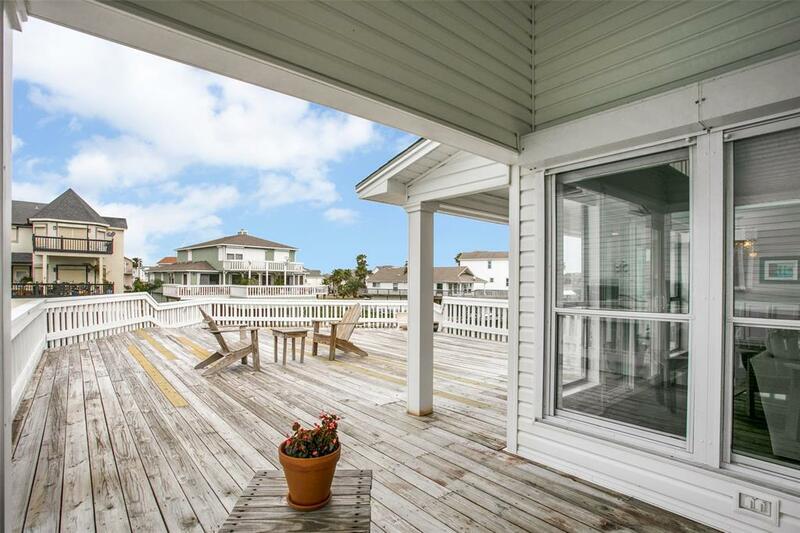 Large deck with wrap around to front deck to enjoy the sun anytime of the day. 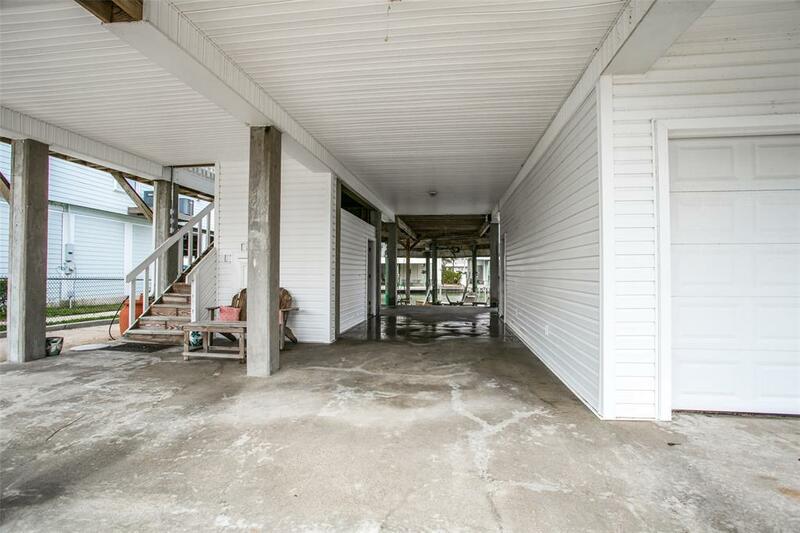 Downstairs mostly concrete with easy maintenance, garage, workroom & 2nd laundry room. 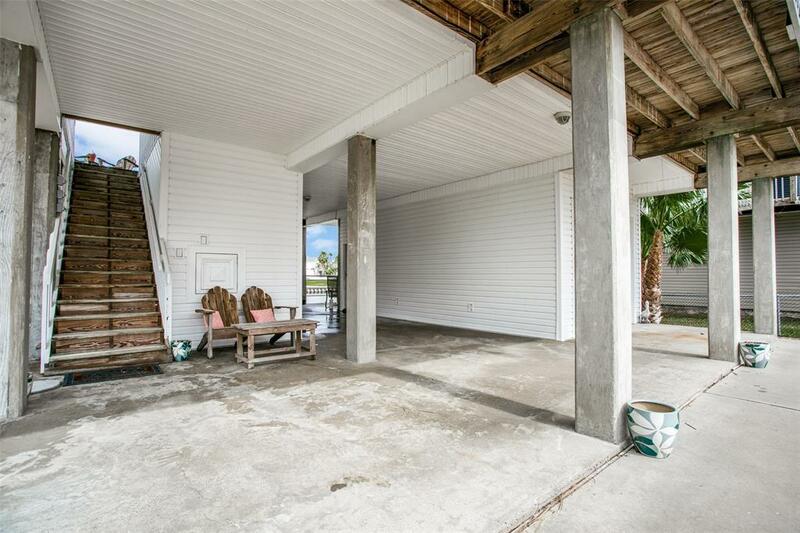 There is plenty of room for entertaining both inside and out. 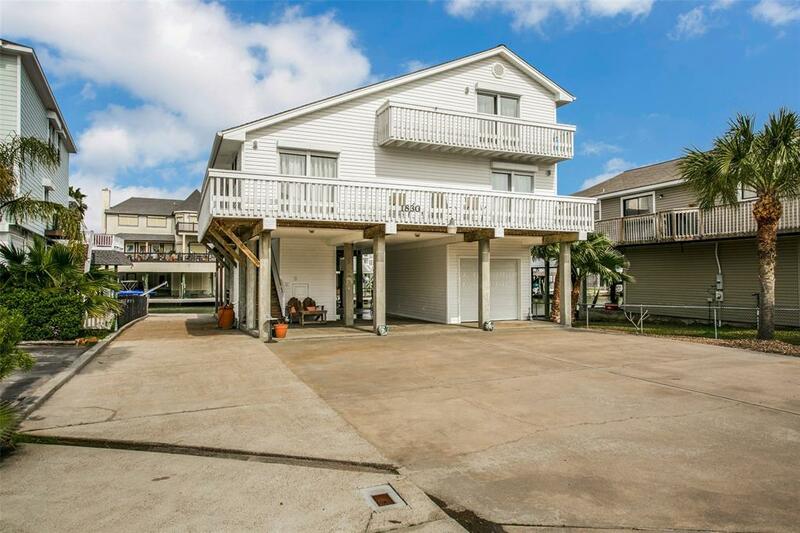 Lots of parking & roll down shutters. 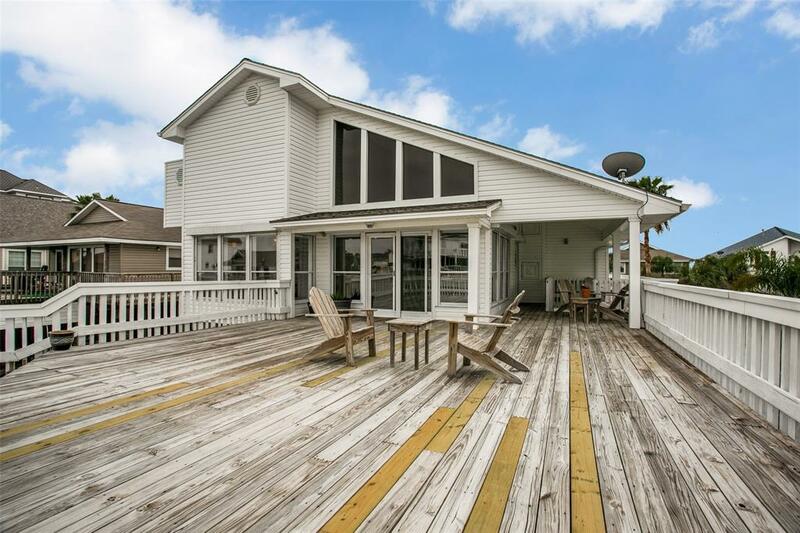 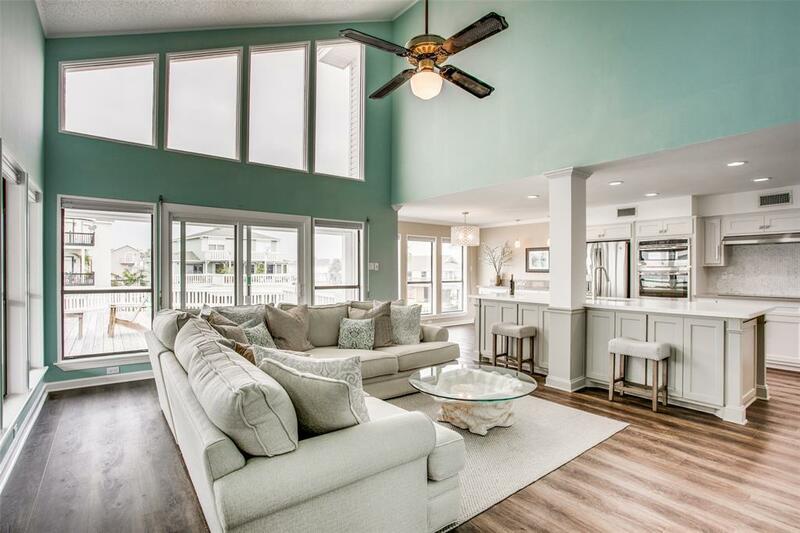 Must see this light & bright Tiki home ready for summer in Paradise!! 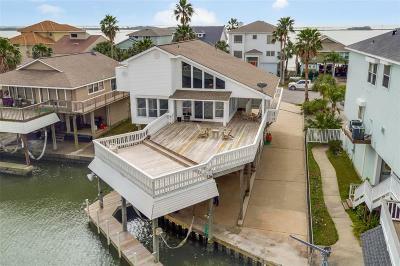 Directions: I-45 South Exit 4 Tiki Island, Take Tiki Dr To Easterly Take Left To Port O Call Turn Right Home On The Right.